The First Fix Electrics team has more than 10 years experience of the electrical contracting sector with an in-depth understanding of providing cost efficient, professional and safe electrical solutions in the domestic and commercial environments. We build long term relationships with our customers by delivering projects from small to large, simple to complex, on time, within budget and with a guarantee on the quality of the workmanship, we also take great care to minimise disturbance to the building fabric and decoration and ensure that disruption and inconvenience are kept to a minimum. We provide a complete range of electrical services to meet the needs of your home or business throughout London. All of our electricians are qualified to the highest standards and work ethics in accord with the guidelines from the Institute of Electrical Engineers (IEE) Our commercial electrical services expertise vary from new build residential contracts to large installations including offices, retail outlets, health authority medical centres, hospitals and educational centres, where we undertake a vast variety of residential electrical services from adding a new power socket to re-wiring of a complete house. First Fix Electrics ensure that every aspect of re-wiring or installation is covered so there are no nasty surprises or incomplete work. 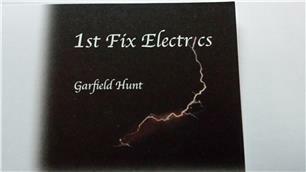 First fix electrics engineers are selected and comprehensively trained to ensure a consistently high level of professionalism, attention to detail, quality of work and focus on customer service.